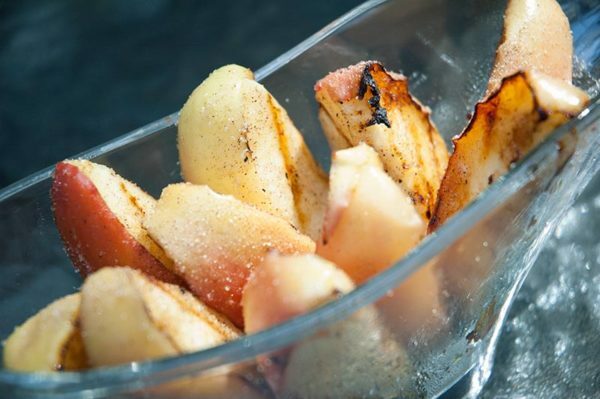 As the time for grilling spills over into the time for ripe, plump apples, we’re taking advantage of the glorious overlap by grilling up our bounty and sprinkling the piping-hot apple slices with cinnamon sugar. 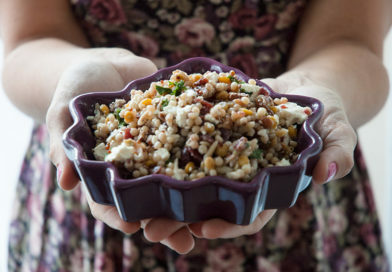 Very few healthy snacks can also be described as comforting, but this is both. 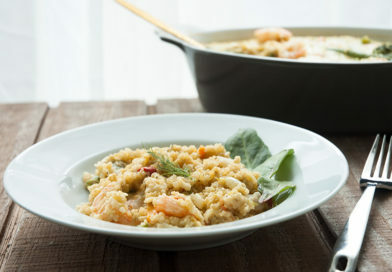 It’s also easy to prepare, which makes it a triple threat, as long as you use apples that can also sing, dance and act. 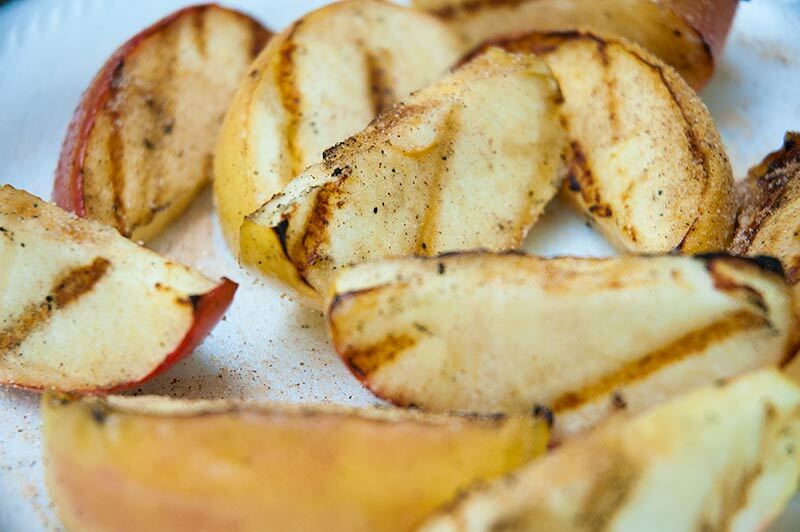 Serve your grilled apples as a sweet accompaniment to grilled meat, or toss them on afterwards while the grill is still hot, and by the time the meal is eaten, dessert will be waiting. 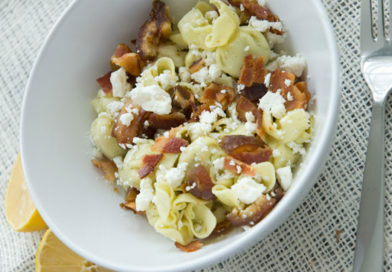 Before the fall chill creeps in, try it a la mode. 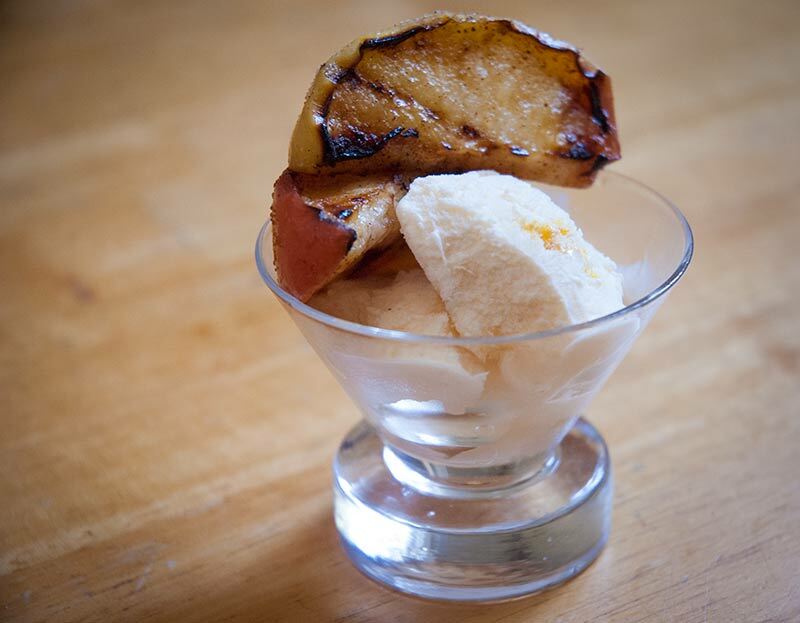 Or try it reverse a la mode, where you eat a giant bowl of ice cream with a couple apple slices on top. Any apple will do. Tart Granny Smiths stand up to heat well and offer a traditional pie-filling experience. A nice Pink Lady (pictured), Gala or Fuji will make for a sweeter treat. 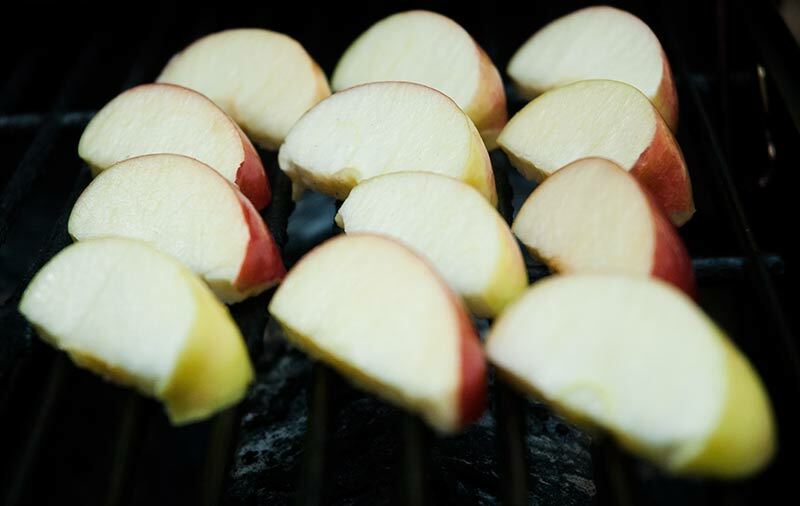 Apples are getting to be their best this time of year, so it depends on what you’re in the mood for, but you can hardly go wrong. Core and slice your apples, then toss them in vegetable oil and lemon juice (about a tablespoon of each is plenty for two medium-sized apples). 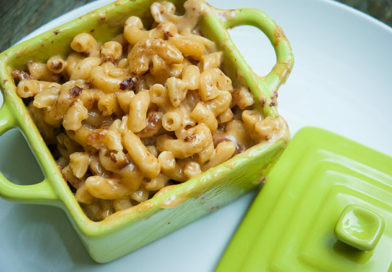 Throw them on a hot grill (or a preheated grill pan on the stove), cover, and let them cook on medium-high for about five minutes or until they begin to get nice dark brown lines. Flip them over and wait again. 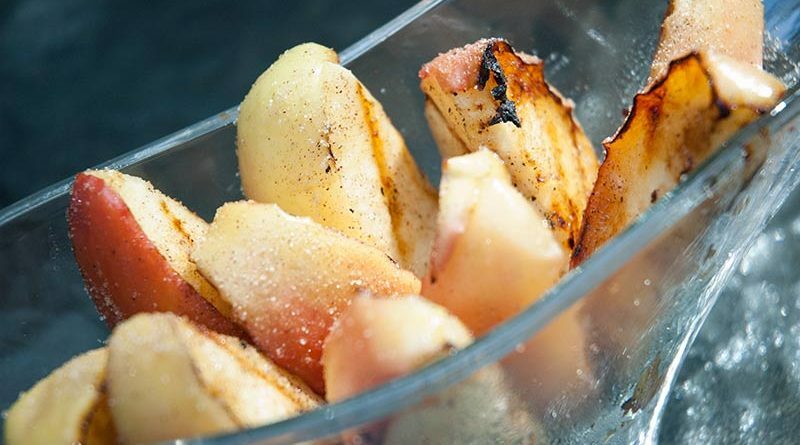 Move the apple slices to a plate and sprinkle with cinnamon sugar on both sides. (I like three parts sugar to one part cinnamon. 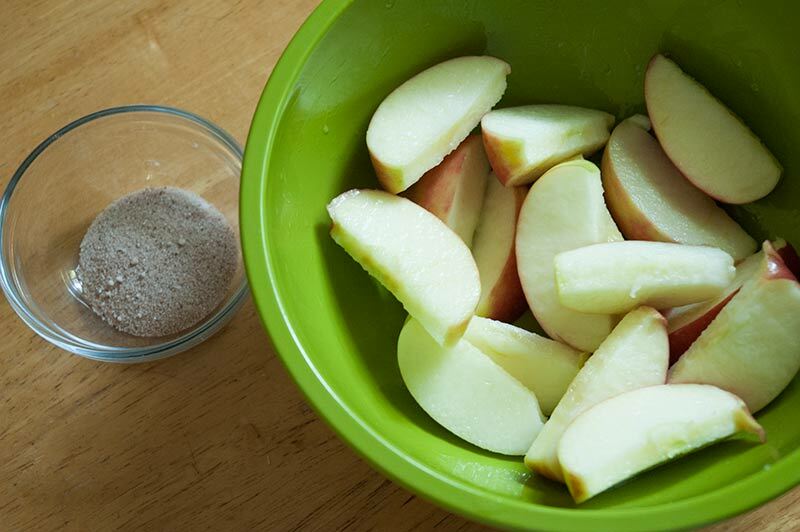 A tablespoon of sugar and a teaspoon of cinnamon is more than enough for two apples, even if you like them Very Sprinkley.) When they’re cool enough to eat, eat them and reflect on the summer that’s coming to a close, or make plans for the autumn ahead. Or watch TV. I’m not the boss of you.